David brings to each client engagement a wealth of practical experience that can help you reach creative solutions to organizational challenges. 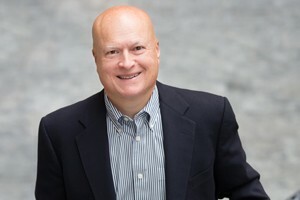 He has more than 35 years of experience in organizational strategic planning, governance issues and re-structuring, mergers, and executive coaching. David brings more than 25 years as a CEO with leading national and international trade, professional and medical associations to each client engagement. In addition, David has extensive voluntary service as both an officer and board member. He has experience across a broad range of strategic planning efforts and has excellent financial acumen. David has significant facilitation experience in a variety of governance and management settings. He is a member of the American Society of Association Executives and the University Club of Washington, DC, where he serves as Chair of the Finance Committee, and as a Trustee for the staff pension plans.